I like to prepare a nice Smithfield Ham on occasion and really enjoy it with a side of broccoli. 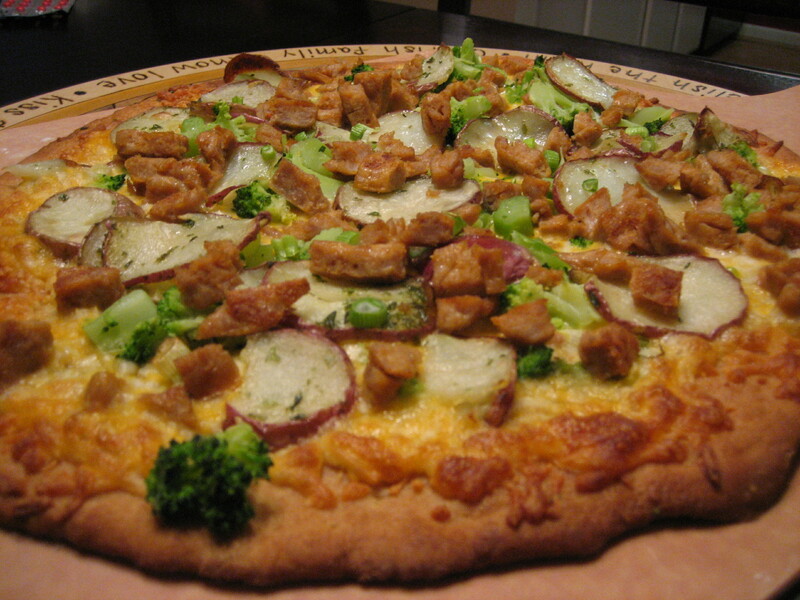 This got me thinking that a ham and broccoli would make a good pizza so I gave it a shot. I heated a small brown sugar cured ham in the oven and then sliced and diced it into bite sized pieces. 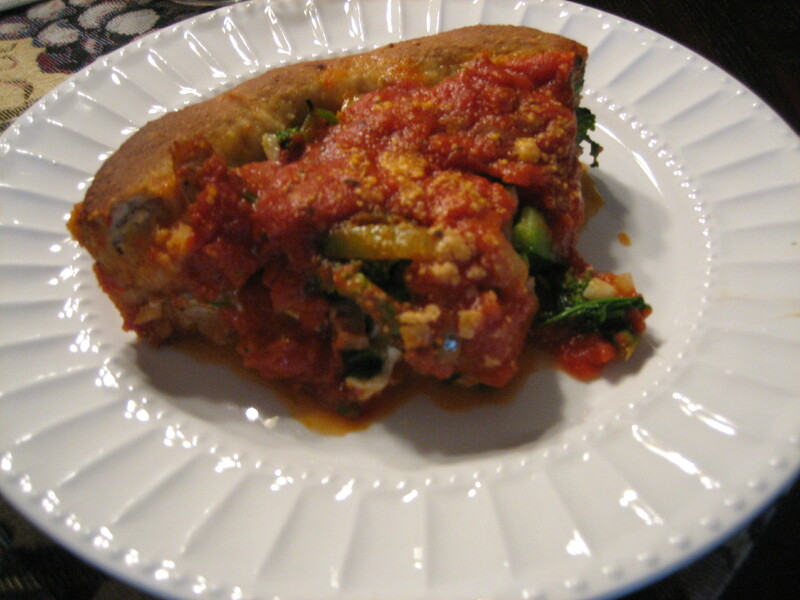 Next, I spread marinara sauce onto the pre-baked dough, then sprinkled on cheddar cheese and steamed broccoli. 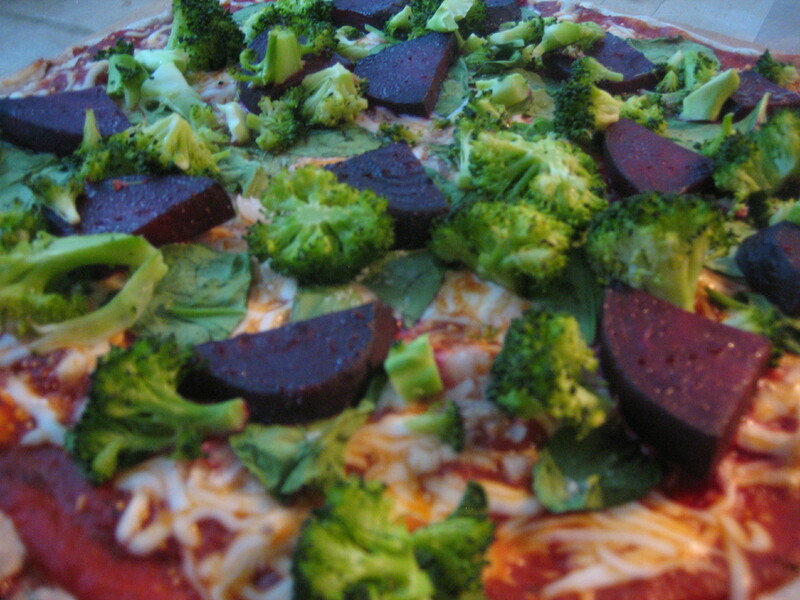 The ham was tender and the broccoli was cooked just right. 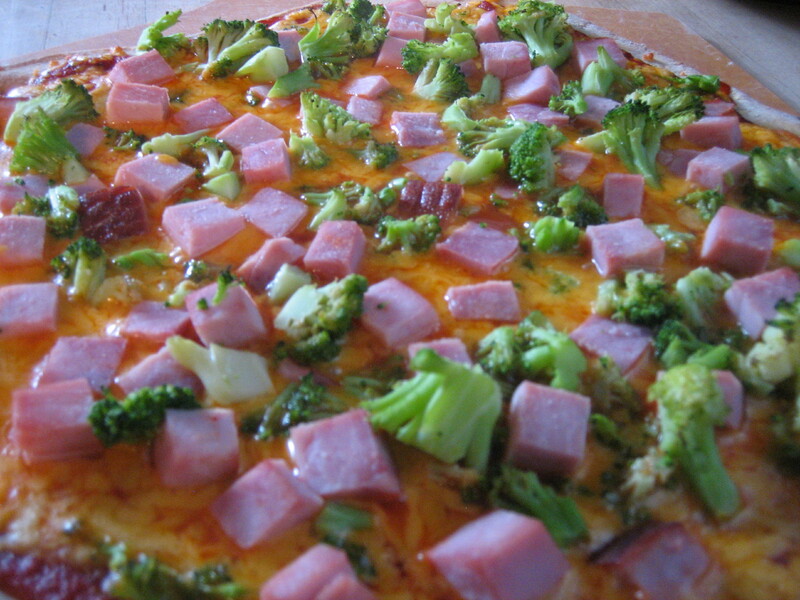 I wasn’t sure how I would like ham and marinara sauce together, but with the cheddar cheese and broccoli to accompany it, the pizza turned out delicious!